Join our vibrant community of Canadians at Qatar's premier institute of applied learning. Teach students of over 30 nationalities at CNA-Q. Walk, jog or bike on the Corniche - a boardwalk skirting the entire harbor of downtown Doha. Gaze upon some of the most exquisite modern architecture in the world. Experience the souqs - traditional markets reflecting the old world Arabic culture complete with restaurants. Adventure through many awe-inspiring malls in Qatar, such as the Villagio - a mall designed after an Italian village. Qatar has risen from the sands of its Bedouin pearl-diving lineage to become the richest country on the globe per capita. Rather than resting on its laurels, Qatar has been meticulously structuring and planning for its rapid growth. The Al-Thani royal family – Monarchial rulers of Qatar – has created a strong and well-defined National Vision 2030 to manage massive urban development, population growth and economic footing by investing in its people. The foundation of this plan is education. 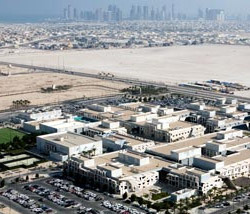 In 2001, the Middle East State of Qatar recognized College of the North Atlantic’s (CNA) decades of expertise in post-secondary education when it chose CNA to build and administrate its first comprehensive college of technology in its capital city of Doha. Since then, College of the North Atlantic-Qatar (CNA-Q) has established its place as the premier institute of applied learning in the Middle East, working with Qatar to make educational history and create a vibrant future for its people. The 2012-2013 Academic Year at CNA-Q saw a celebration of the 10-year milestone with Qatar. Since opening its doors in 2002, College of the North Atlantic-Qatar has gone from initial student enrollment of 300 to 3,000, from a staff complement of 50 to well over 600 and expanded to add a number of programs custom designed for the needs of the State. We consistently recruit throughout the country to find dedicated and energetic Canadians to help us continue in operating the highest quality technical education system in the Middle East. Exciting, challenging and rewarding, CNA-Q is offering the personal and professional experience of a lifetime! CNA-Q operates from a state-of-the-art campus with 22 custom-constructed buildings with traditional elements and modern edge concepts merged into a uniquely stunning architectural design. The campus houses cutting-edge equipment and facilities including fully-equipped labs and shops, smart classrooms, fully-engaged theatres and an auditorium. Recreation facilities include swimming pools, tennis courts and a soccer pitch. Male and female students have options for separate cafeterias, student lounges, and recreational areas with swimming pools. 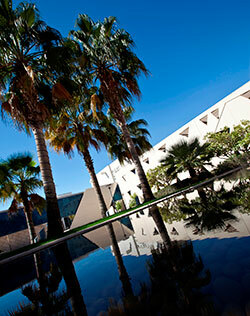 Common spaces include public lobbies, cafés, libraries, classrooms, laboratories, auditoriums and open courtyard. The campus is constantly abuzz with student-led activity and employee events, many in the beautiful expansive courtyard. Though there are over 30 nationalities of students at CNA-Q, the majority of the student body is Qatari. And though our cultures don't appear to have much in common on the surface, these youth have similar issues and anxieties shared by students world-wide. Many wear traditional clothes (thobes for men and abayas for women), but you will see a variety of fashions— some dress just as our youth in North America do. 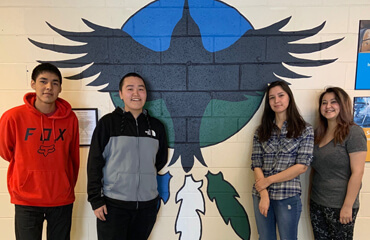 What they find at CNA-Q, and a key to why the State of Qatar chose CNA to bring education to their young people, is at the core of what one finds in Newfoundland and Labrador—respect and warmth. We have created a culturally diverse, student-centered college in Doha, which places high value on the success and satisfaction of our learners and shows great respect for their diverse cultures. CNA-Q can accommodate up to 3,000 students and 700 employees and has some 4,000 alumni to date. If education is the foundation of Qatar’s plan, CNA-Q is one of the architects, training graduates in careers that will be vital in the continued growth of Qatar. CNA is not only providing internationally recognized curriculum in the areas of Business, Health Sciences, Engineering, Trades and IT, but is also growing robust partnerships with local government and industry. These partnerships, such as those with Qatar Petroleum, the American Society of Safety Engineers, the Gulf Organization for Research & Development, Qatar Environment & Energy Research Institute and the Qatar Olympic Committee, secure CNA-Q’s position as the premier institute of applied learning for the country. Indeed, the rapidly developing country’s successful 2022 World Cup bid will likely accelerate exceptionally large-scale infrastructure projects such as Qatar's metro system, light rail system, and the Qatar-Bahrain causeway. They have just completed the new Hamad International Airport, which has an annual passenger capacity of 24 million. As the infrastructure of Qatar grows, so does the necessity for a highly-trained labour force. And CNA-Q is at the forefront of training in Qatar. The beautiful and progressive State of Qatar has embarked on a massive transformation to support its growth – new neighborhoods, shops, skyscrapers, hospitals, schools, etc., make this an ever-evolving city, one that provides much excitement. The malls are thriving, hotels offer spa days to relax and enjoy leisure time by a pool or on the beach, and the many cultural venues such as the Museum of Islamic Art, Katara Cultural Village, Qatar Music Academy and the Doha Film Institute provide world-class culture, art and entertainment. You will find cuisine from all over the world in Doha, catering to the 1.8 million residents (80 per cent of whom are expatriates). The work week runs from Sunday to Thursday and where North America is typically driven by the clock, in Doha, you find that things will be done soon, Insha’Allah (God willing). The Call to Prayer, a hauntingly beautiful announcement from local mosques, is a means of calling Muslims to prayer, and can be heard five times daily. Temperatures in Doha can dip as low as 12 degree Celcius in winter and as high as 50 in summer. 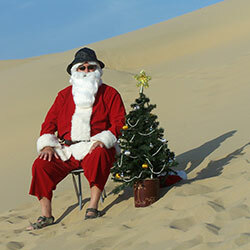 Unlike our Canadian winters, Doha residents enjoy warm temperatures and sand duning, sand boarding and camping in the desert. Our families live in gated communities, where children can freely ride their bikes and hang out at the community centre or playground. Those without children live in fully furnished apartments. All accommodations are State-funded. Another benefit provided by the State of Qatar for CNA-Q employees is schooling. Dependent children (to a maximum of two children per family) are entitled to receive state-funded education at the Qatar Canadian School (now known as Blyth Academy): http://www.qcs.edu.qa/. One of the best things about Doha is its location. Often called a “gateway to the world,” Doha’s location on the map makes it an ideal launch point for travel to the Far East, Europe, Africa and the rest of the Middle East. Employees often spend long weekends and holidays travelling to places like Dubai, Oman, Lebanon, Jordan, Thailand, the Mediterranean and Egypt. Remarkable, fascinating, compelling. The opportunity to live and work in Qatar will provide an exciting and rewarding career challenge as we continue to grow the highest quality technical education system in the Middle East. 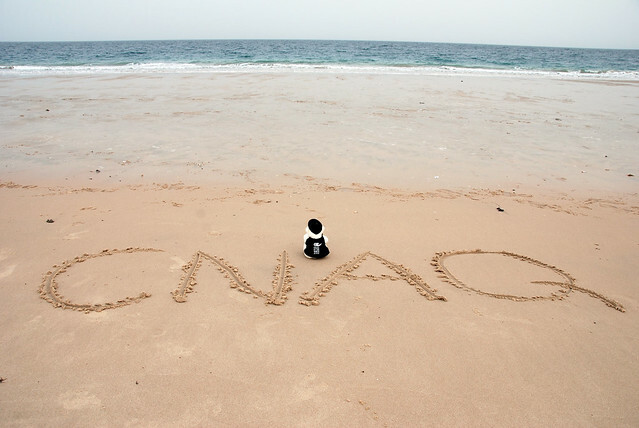 Check out some feature stories involving College of the North Atlantic in Qatar. Review the list of available CNA-Q jobs on the CNA Qatar recruitment web site. All employee recruitment is facilitated through our offices in Newfoundland and Labrador. Qatar Time Lapse 2014 from Richard Bentley on Vimeo. “Yes, there are challenges to moving and teaching in Qatar but the rewards are seemingly endless. First there are the students, a great group of very positive young people growing up in a nation with an extremely optimistic future. Second there is Qatar itself, a wondrous country moving quickly into the 21st century but at the same time retaining its past. Third, there is the city of Doha, a vibrant city with opportunities to catch world-level sports and festivals, enjoy year round sun and get involved in innumerable social activities. Finally there is the travel: a world class airport with inexpensive flights has allowed us to visit more countries since our arrival than many may visit in a lifetime."